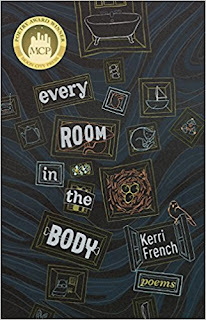 Kerri French is the author of the new poetry collection Every Room in the Body. She has also written Instruments of Summer, a chapbook of poems about the singer Amy Winehouse, and her work has appeared in a variety of publications, including Washington Square Review and Cooper Nickel. She lives in the Nashville area. Q: Over how long a period did you write the poems in your new collection? A: I began writing some of the poems in the collection seven years ago during my pregnancy with my first child. During that time, I developed a liver condition called ICP that left me incredibly ill and increased the risk of stillbirth for the baby. I wasn’t really ready then to write directly about that experience and so I focused instead on writing persona poems, all of which later appeared in my chapbook about Amy Winehouse’s life. 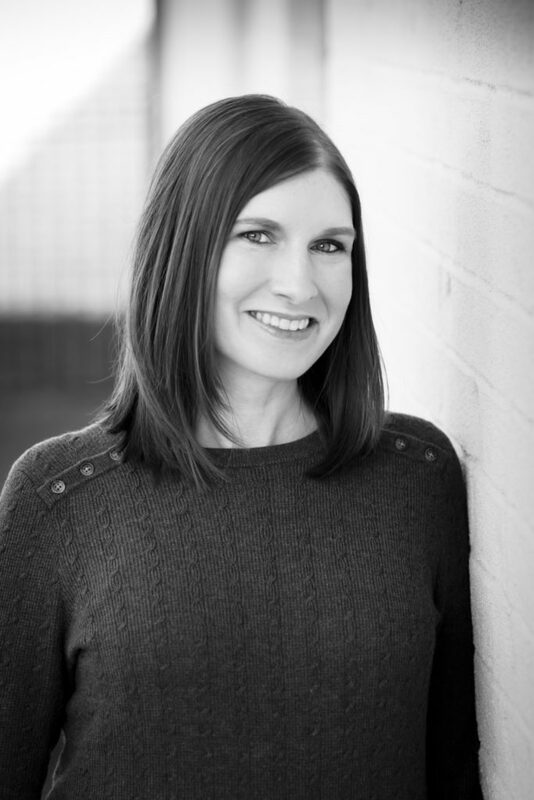 A few years later, I was pregnant with my second child and was diagnosed with the same liver condition once more. I returned back to these persona poems, almost entirely abandoning my own voice, and then paused writing poetry altogether for several years. I was busy learning to be a mother, managing health complications, and organizing an international move back to the U.S., but my break from writing had more to do with not knowing what I wanted to say or how I wanted to say it. It wasn’t until I returned to the Amy Winehouse poems and read through them when my babies were no longer babies that I realized what a huge part of my voice those persona poems contained. I hadn’t been ready to write about my pregnancies, but I ended up writing about those experiences anyway—so much of my own illness and grief came out in those persona poems. This realization helped me see a way into this topic and I began to write all of the pregnancy poems I hadn’t previously been able to write during the summer of 2015. I am not normally a prolific poet, but after such a long wait, the poems came quickly to me and nearly all of the remaining poems in the collection were written over that summer. Q: How did you choose the order in which the poems appear? A: I struggled with ordering the poems in the book, and the order constantly changed during the time I was submitting to contests and publishers. For a while, the order was very linear, with all of the pregnancy poems bundled together in the last two sections. What finally clicked was shifting things around so that the book started with the pregnancy and then flashed back to earlier points of time across all three sections. I found it also helped to remove the numbering of the sections and give them titles instead. 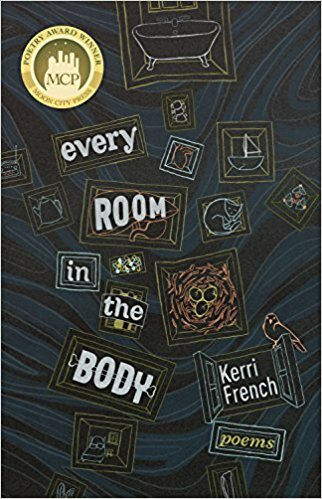 This allowed me to group poems together in a way I hadn’t previously considered, and starting the book by revealing what is at stake right away helped me to discover a new way of looking at the narrative. A: The title is taken from a line in the poem “Cut” (“It was like drawing a map to every room / in the body, the bitter halves of fruit / seared across the stove”). 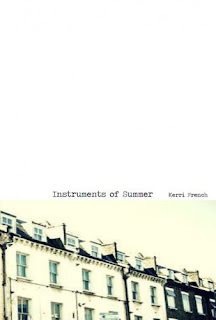 This poem first appeared in my chapbook, Instruments of Summer, as a persona poem in Amy Winehouse’s voice. This was the first poem where I really explored the idea of the body as a residence, home to all of the sad and tough moments that shape who we become. This idea continued to carry over into other poems in the book and the section titles emerged from the various ways we define residence. The book had a few other titles before I landed on this one, but once I tried it out, it immediately felt right. A: Forever favorites are Marie Howe, A. Van Jordan, Natalie Diaz, and Brenda Shaughnessy. I’m currently obsessed with all of the amazing new poetry books that are being released—so many poets I love have released books this year. Recent favorites include books by Chen Chen, Erika L. Sánchez, Maggie Smith, Kaveh Akbar, Danez Smith, Jenny Johnson, Marcus Wicker, Layli Long Solider, sam sax, and Gabrielle Calvocoressi. A: My friend Christina Stoddard once told me she was intentionally not focused on writing a second book while promoting her first and used to simply tell people she was writing poems. I’ve been thinking back to this advice a lot lately, as I’m finding the process of writing new poems a bit strange after spending so much time focused on pregnancy and illness and how this book tells that narrative. I know that I want to write poems that are different, but I’m still trying to figure out how that will look and feel on the page. I find generating new work to be difficult when I don’t have a project or purpose in mind and I really want to work against that need in my mind to know where something will lead. So, for now, I am just writing poems and not allowing myself to overthink how the poems work together. A: Because the book makes many references to a condition in pregnancy that most people are unaware of, I always like to take a moment to spread awareness whenever possible. Intrahepatic cholestasis of pregnancy (ICP) is caused by a build-up of bile acids in the liver which then leak into the bloodstream, causing severe itching in the mother—especially in the hands and feet—and increasing the risk of prematurity, fetal distress, and stillbirth for the baby. Other symptoms in the mother can include nausea, lack of appetite, fatigue, and right upper quadrant pain. More information can be found here.